Dentistry has come a long way in the past few years, with many procedures available that once didn’t seem possible. Dentistry now involves more than just teeth cleaning and the filling of cavities. It is important to always practice proper dental health routines. This includes brushing your teeth at least twice a day and flossing daily. Over time your teeth are subjected to many different things including drinking, chewing, grinding, smoking and more. In order to ensure that you are taking proper care of your teeth scheduled dentist visits are extremely important. Your dentist may give you a variety of treatment options when you come in with a dental problem. Being educated about the procedures available will allow you to make an informed decision about what is right for you and your needs. We will walk you through some of the most popular dentistry procedures available today. Crowns are used when a person’s tooth has been thoroughly worn, rotted or discolored. They can be made of a variety of materials and are placed on the tooth or tooth implant using dental cement. Bridges are used to restore a person’s missing teeth by using dental implants that are fixed to a permanent or temporary bridge. 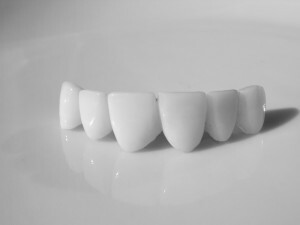 Dentures can be permanent or removable, depending on the patient’s needs. Braces not only help to make a person’s teeth appear more aesthetically pleasing, but can also help to reduce the wear on certain teeth and alleviate the strain some people may suffer due to an improper bite. Braces are used to correct a person’s bite and straighten their teeth. They are part of a classification of dentistry called orthodontics. Teeth whitening options are becoming increasingly popular in the cosmetic side of dentistry. It can be done in home or at the dentist’s office, depending on a person’s finances and the scope of discoloration. In order to find out what dental procedures may be right for you read more here.